Maria-Luisa Marsal Llacuna holds two Doctorates, in Urban Planning and Intelligent Systems (2008, 2013). She is a Dipl. Architect (2001) and has Masters degrees in Urbanism and Applied Informatics (2004, 2011). 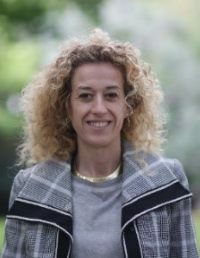 She has been teaching urban planning to ungraduate in Spanish Universities for the past fifteen years, and more recently smart cities at master’s level. She created the first official scientific master’s program in smart cities and she has lead several competitive research projects in the domain. She holds a US patent on a smarter urban planning technology and has published fourteen papers in top indexed journals. Dr. Dr. Marsal currently works at Future Cities Catapult and has a position as Cities Standards Manager to deliver innovation on city standards for the UK and abroad. Nikolaos Kontinakis works as a project coordinator for the knowledge society and smart cities projects of EUROCITIES, Brussels. He coordinates the Green Digital Charter initiative (http://www.greendigitalcharter.eu/), EUROCITIES work for the development of a performance measurement framework for smart cities under the CITYkeys project (http://www.citykeys-project.eu/) and the promotion of green ICT via the ICTfootprint.eu project (http://ictfootprint.eu/). He also represents EUROCITIES in the SSCC-CG of CEN/CENELEC. For the last 15 years, he has worked as a project coordinator and researcher in the areas of ICT, energy policy and the smart and sustainable development of local authorities. 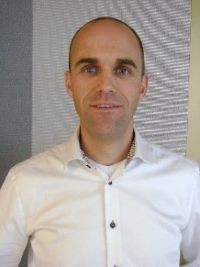 Rob Poll-van Dasselaar is a consultant for the department of Geo-Information at the City of Rotterdam. Rob’s main tasks are the procurement of geospatial information and kickstarting innovative projects. Rob therefore needs to be up-to-date on numerous technical developments that involve geospatial information in the context of asset management and smart cities. He holds close ties to several research and educational institutes and universities and has a wide network that includes commercial companies and government organisations in different related fields of expertise. 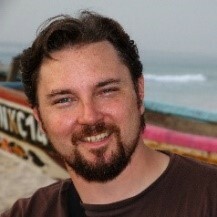 Rob holds a bachelor degree in Geomatics from the University of Applied Sciences in Utrecht. Mr. Rene Tõnnisson is member of executive board of Institute of Baltic Studies. He is responsible for smart city, innovation management and technology development related projects. During the last 20 years he has held or is currently holding executive management positions in Tartu Science Park, Tartu Biotechnology Park, Baltic Innovation Agency, Connect Estonia, Smart City Lab and Buildit Accelerator. He has also been member of high level European Cluster Policy Group (ECPG) advising European Commission on future European cluster policy and External Adviosry Group (EAG) on regional aspects of FP7. Rene Tõnnisson holds a Master degree in Public Administration and Policy from University of Tartu, Estonia and Certificat d’Etudes Politiques from Institut d’Etudes Politiques de Strasbourg (Sciences Po), Université de Robert Schuman. He has also been studying at University of Cambridge and European University Institute. Daniel Homorodean is member of the Board of Cluj IT Cluster, has solid experience as manager of software businesses ( Arxia , PlanningWiz, Processplayer ) and participated in various projects for the development of software solutions in e-government/e-administration and IT strategy consultancy. With a strong interest in public policies related to IT and standardization, Daniel is representative of Romania in European Committee for Standardization – Technical Commitee 440 – Electronic Public Procurement, member of ASRO- the Romanian Standards Association, advocating for better regulations in domains like web accessibility, interoperability, open data, open standards. Antonio Kung has 30-year experience in embedded systems. 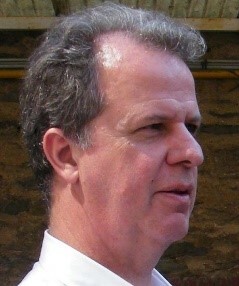 He co-founded Trialog (www.trialog.com) in 1987, where he now serves at CTO. He currently focuses on interoperability, security and privacy issues. 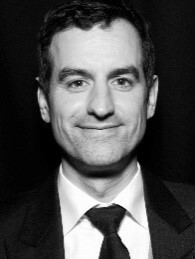 He has led or several initiatives on privacy by Design including PARIS (http://www.paris-project.org/), or PRIPARE (http://pripareproject.eu/). He is currently the rapporteur of the privacy engineering framework study period for ISO. He holds a Master degree from Harvard University and an Engineering degree from Ecole Centrale Paris. Joachim Lonien is neither a city planner nor a software engineer. He’s a life scientist with a passion for interoperability. His research projects allowed him to work in a number of internationally renowned groups before focusing on the development of international standards at DIN. DIN is one of the most renowned standardization organizations; it has a leading role at ISO and CEN, and it is also an avid member of numerous international research consortia. Within DIN, Joachim is leading the innovation management team, doing technology foresight analysis, consulting in standardization, and organizing committees in the realm of all things digital. 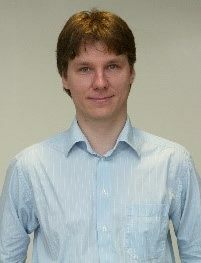 Patrick Guillemin is working for ETSI as Technical Officer and Senior Research Officer. Patrick is specialized in the development of new standardization initiatives and actively supports ETSI involvement in FP7/H2020 projects. Patrick has 31 years of experience in ICT project management and 22 years in ICT standardization. He is in charge of ETSI IoT, Smart Cities and eHealth standardization in ETSI TC SmartM2M, TC PLT and EP eHealth. He is AIOTI www.aioti.eu WG03 (IoT Standardisation) Chairman and AIOTI Steering Board member. He is ETSI IoT Coordinator and supports ETSI Board IoT strategic ad hoc group. Patrick has actively participated in EU research projects related to IoT/RFID (currently in H2020 ICT30 UNIFY-IoT CSA and H2020 SCC03 CSA ESPRESSO) and created ETSI ISGs (ISI, LIS, LTN, OEU) and ETSI TC CLOUD. He was Software Engineering Teacher at CNAM (Nice University) for 14 years. He worked as CIO for the French Stock Exchange and for DEC (now HP) as Project Manager and consultant. Philippe has joined in Sept. 2015 Sat4m2m, in Munich. Sat4m2m is developing the 1st disruptive “Space IoT” connectivity solution in the world for a new M2M LPUWA network (Low Power Ultra Wide Area). The company makes use of the ISS (International Space Station) in coordination with NASA and with the support of ESA (ESA incubation, financing and ESA Strategic Partnership). The company has 4 patents and has acquired the exclusive use of an ITU frequency. 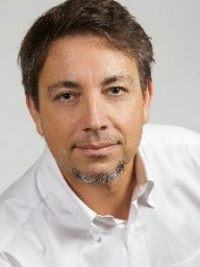 Philippe is also ETSI expert for the UNIFY-IoT ICT30 CSA project http://www.unify-iot.eu/ in support of the 7RIAs http://iot-epi.eu/ as (since May 2016) for the ESPRESSO SCC 2015 CSA project http://espresso-project.euon Smart Cities. He is an active member of AIOTI WG03 and ETSI TC SmartM2M. He follows also TC ERM TG28 work (formerly ISG LTN Sigfox work). 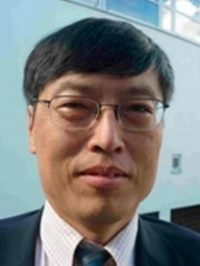 With 25 years in ICT and satellite technologies, he has contributed to the work on GNSS (Global Navigation Sat Technologies) based performances in ETSI TC SES SCN and in CEN TC 5 Space WG1 (Space Mandate M496). He is also an SBS expert and General Secretary of the ENCADRE association. 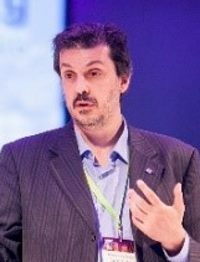 He has been involved in 7 research projects with EC, GSA (Galileo Agency) and ESA addressing ITS, LBS, PNT and data issues. He is graduated from the ISU, Strasburg and the GWU – George Washington University.